Wide mouth design features convenient electric ball return. 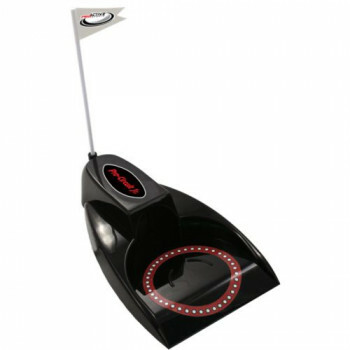 Helps improve putting for high and low handicappers. Ideal for use in home or office. Returns ball automatically Regulation cup size UL approved Packaged in same great style ..
We all struggle with putting from time to time. Usually, we need just a basic refresher in putting ..